Sales Strategy for achieving aggressive growth targets in an emerging region. between two fortune 100 organizations to synergize around technological platform. between key players across two different industries to explore unique joint opportunities across multiple industries and multiple geographies. between an enterprise software player and a mobile and wearables provider to determine top areas of focus. around distribution and value added reseller arrangements. User Experience Strategy across a large organization. Analytics Strategy across large multi-billion dollar business. Operational efficiency for Oil & Gas provider. BIG Data Strategy for a bank. Patient centricity for a specialist hospital. Sales Innovation for a pharmaceutical manufacturer. Finance-operation alignment for an electric and construction equipment manufacturer. Account Planning and strategy for key accounts. Product and market strategy for start-ups. So what was so different about these engagement? First of all, instead of acting as an external “expert” preaching the management team about how to run their own business, design thinking fostered a collaborative approach in which one team spirit was facilitated across multiple lines of businesses and various levels of the organizational hierarchy. At the core was research and empathetic understanding of various stakeholders. 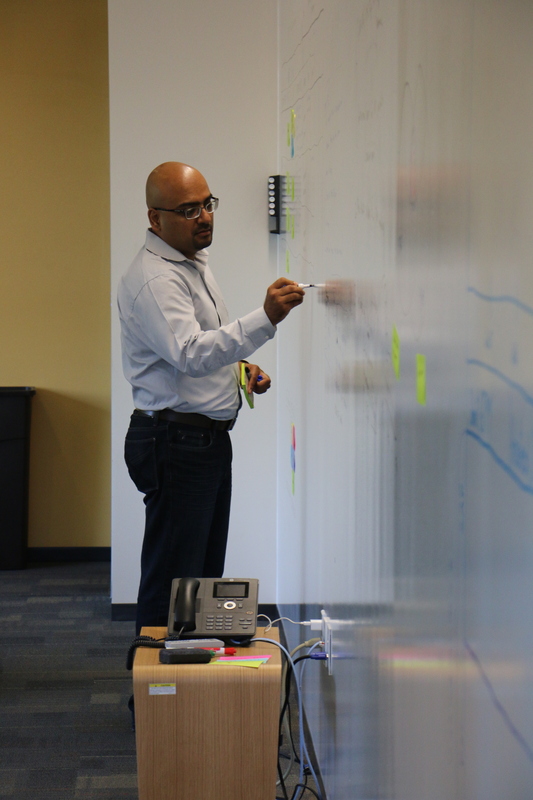 A drastically different approach than the traditional way of tackling strategic issues. Exploration of the problem space before thinking about the solution helped frame the discussion in ways to yield the best outcome. Instead of focusing on merely KPIs and their fictitious futuristic projected improvements, desirability from the perspectives of key stakeholders was front and center. 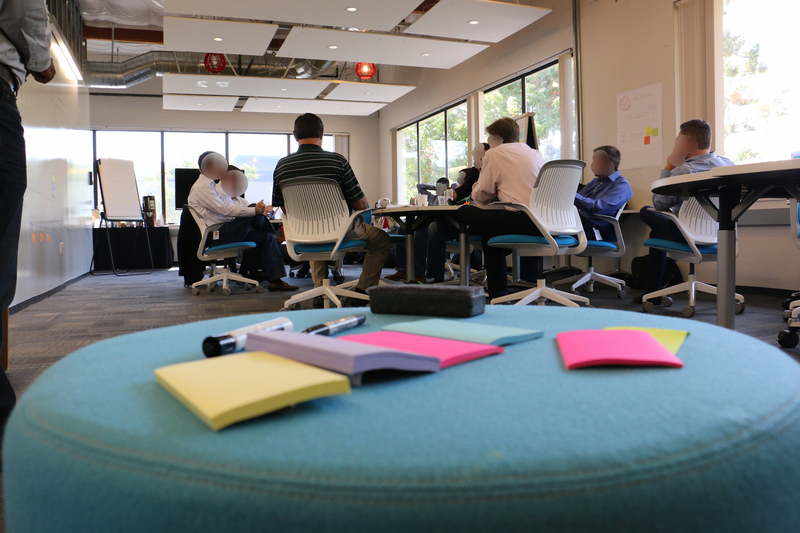 These stakeholders included customers, suppliers, internal employees and partners. Having the conversation around desirability kept the focus on the real value as well as building the bridges among these diverse groups! Instead of commandments coming from the top, ideas were generated from all levels within the organization. Those closest to the ground realities and customers are generally the ones who know the real opportunity areas. Instead of acting as external “experts”, we became genuinely curious like children. Using basic questioning techniques (such as 5 Whys, how, who, what, what if and why not), we were able to get to the bottom of issues in a quicker fashion than the traditional approach, which may take months and even then come up short. Instead of being bogged down in the challenges of today and issues of yesterday, focus was shifted to envisioning a future that is aspirational. This focused the ideas to be forward looking. Instead of focusing on best practices, we focused on coming up with out of the box thinking to build solutions that no one has thought of before. After all, best practices are a set of practices that have worked for a particular industry in a particular line of business in the past. Competitive advantages are not established by copying what others have done in the past, it is attained by devising new ways of doing things. You’ll never be able to build sustainable competitive advantages by focusing on the past. Bringing business, IT and other stakeholders together has the added benefit that the pace of decision-making speeds up. 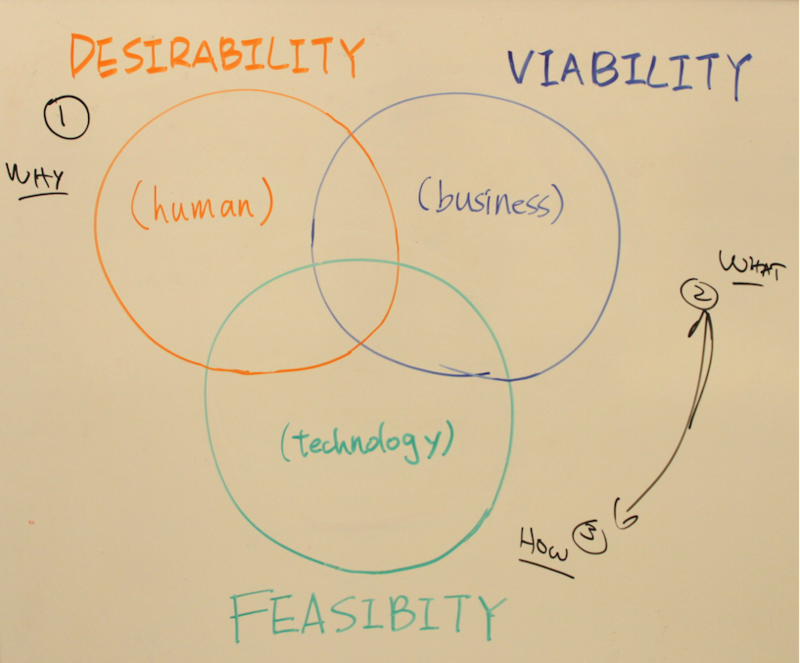 We balance the desirability with viability and feasibility together as a team. Prioritization is done in a swifter manner. Rapid prototyping is incorporated during the engagement to get a feel of how the solution might look like with immediate feedback from the stakeholders. To conclude, a goal oriented action plan is devised with ownership and timelines jointly agreed upon. These are some of the examples of innovation lead business strategy formulation. If you want to learn more about leveraging Design Thinking for formulating business strategy, feel free to contact us or drop me a line. In the upcoming weeks, I’ll elaborate some of these engagements further. Too long post though worth it. I wonder that how can you just write such a long post and not even boring with amazing information. Thanks! Hi Mashhod. How is everything ? Could you recommend couple books about it? I really will appreciate !!! Thanks and have a nice week !!! Hi. I just read you post and I am interesting on use this subject as my MBA conclusion work. Do you have some books to recommend me? Thanks a lot.